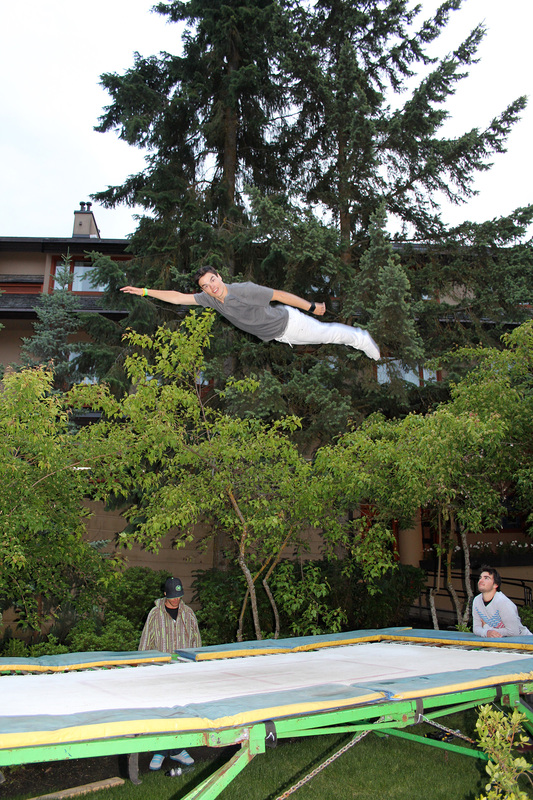 We always have a certified trampoline coach on hand to help you work on the technical tricks safely. Building these skills will help you gain air sense and progress your new tricks faster to snow. 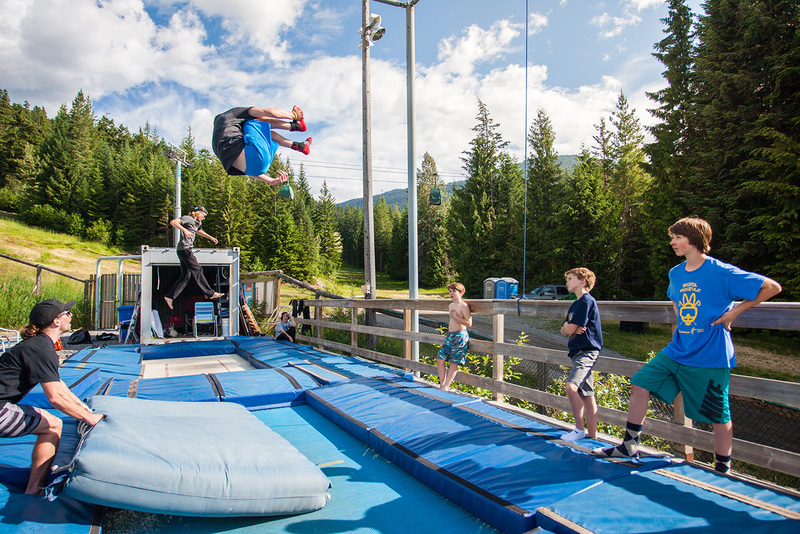 Our 2 string Pro Trampoline located at the Hotel is open every night and we schedule multiple sessions at the 2 inbed trampolines at the water ramps. Hotel Trampoline – Mik Kingsbury floating a big flip!